Here at Nail Polish Direct we understand that all our beautiful customers are very busy out conquering the world everyday so they don’t always have a lot of spare time to spend on their nails. Whether you’re in between salon appointments or just need a quick freshen up before a big day, we have the answers! 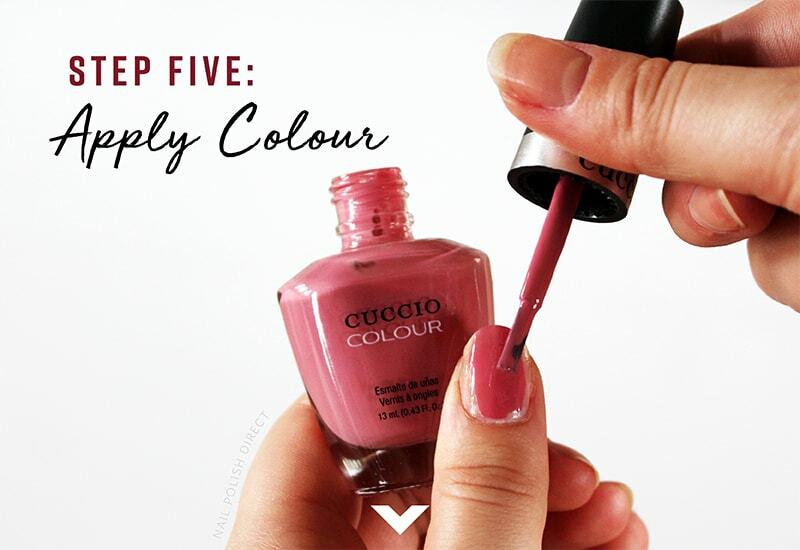 We have put together a step-by-step guide that will allow you to achieve beautiful nails in just 15 minutes! Today we have chosen to use one of our favourite brands, Cuccio. 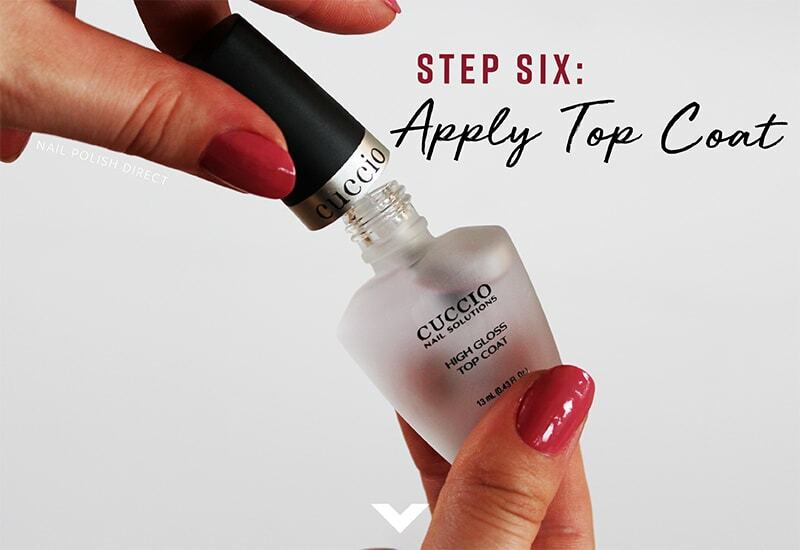 Being in the top of its league for both luxury beauty care and it’s nail polish selection, Cuccio has everything we need to create a perfect on the go express manicure and much, much more! 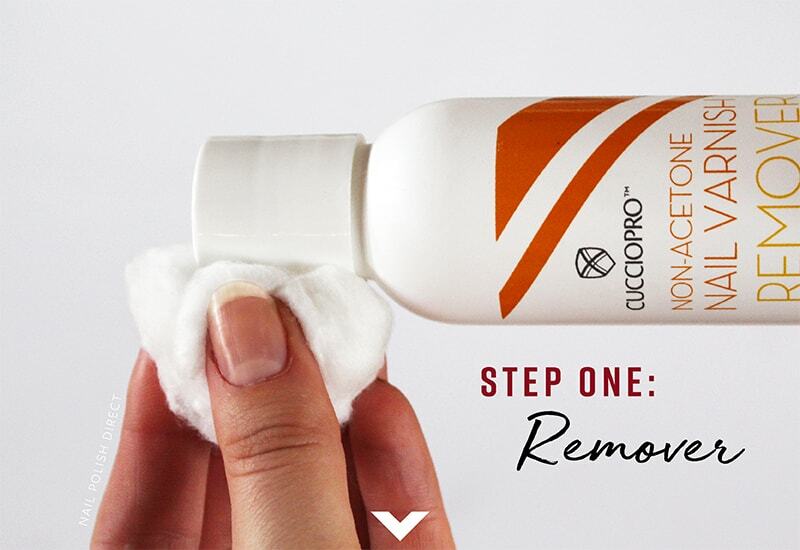 Apply some Cuccio Non-Acetone Nail Varnish Remover onto a cotton pad and use for the speedy removal of old nail varnish. 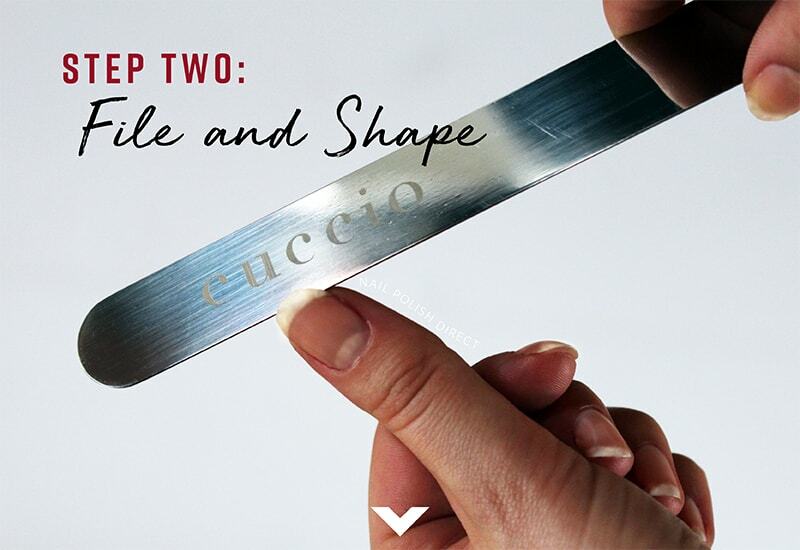 Smooth and rebalance the edges of your nails to create a better shape in no time using Cuccio Stainless Steal Nail File. 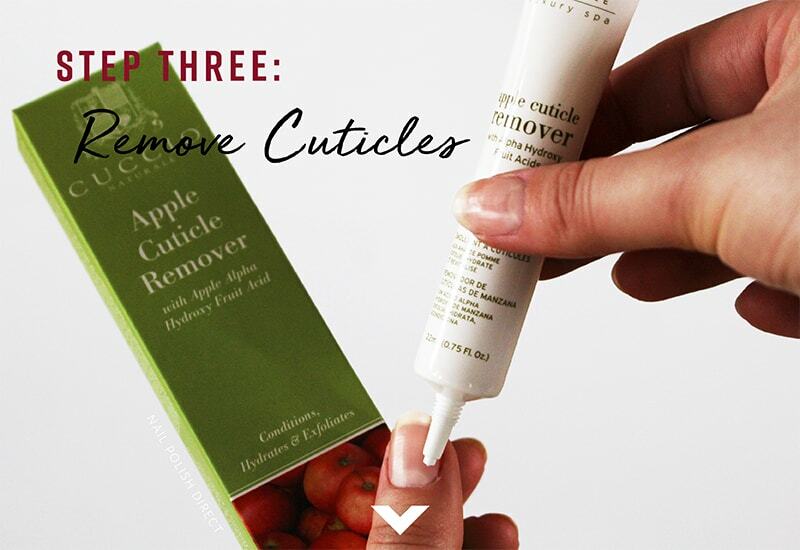 Gently exfoliate and remove the residue of unwanted skin cells that build up around the nail quickly and naturally using Cuccio Apple Cuticle Remover. This will simultaneously moisturise and neaten the cuticle without the need for pushing or scraping. 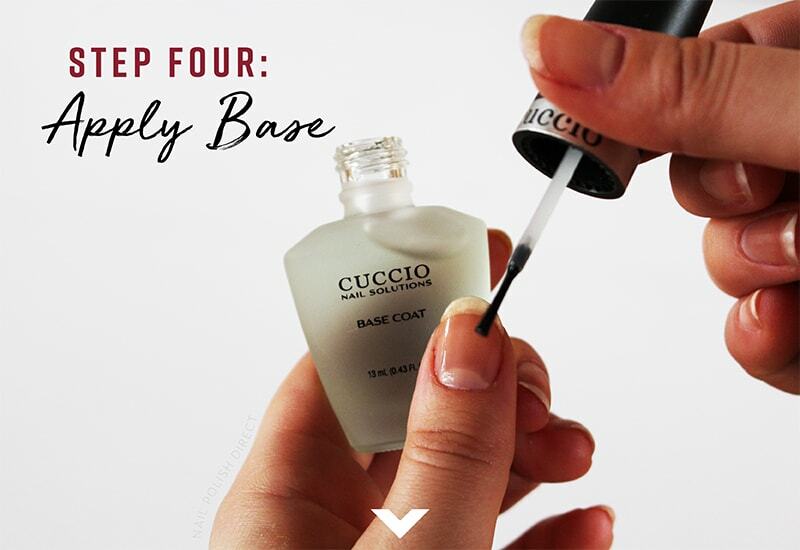 Next, apply Cuccio Nail Bonding Base Coat to prepare the nail and ensure a long wearing and high quality finish. Apply one or more coats of Cuccio Arabesque Par Terre polish from the new Ballerina Collection until you have reached your desired opacity. For a perfect polish, apply one stroke of the nail lacquer down the centre of the nail and continue until the whole nail is covered. Seal and complete your look with one coat of the fast drying Cuccio High Gloss Top Coat. This lacquer is specifically formulated for a speedy dry time so you can be out the door in minutes. 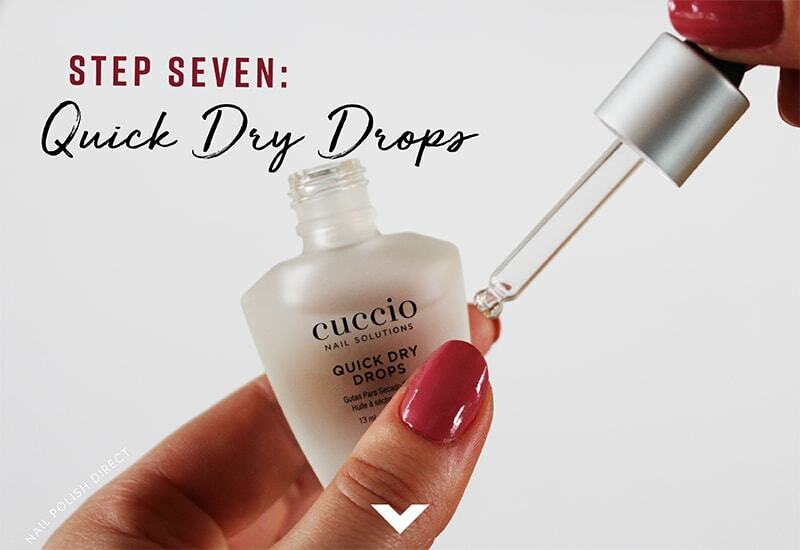 If you are really in a hurry you might want to accelerate the drying time of your manicure even more using Cuccio Quick Dry Drops! These drops also help protect the enamel from smudging to minimise the risk of ruining your fresh look. 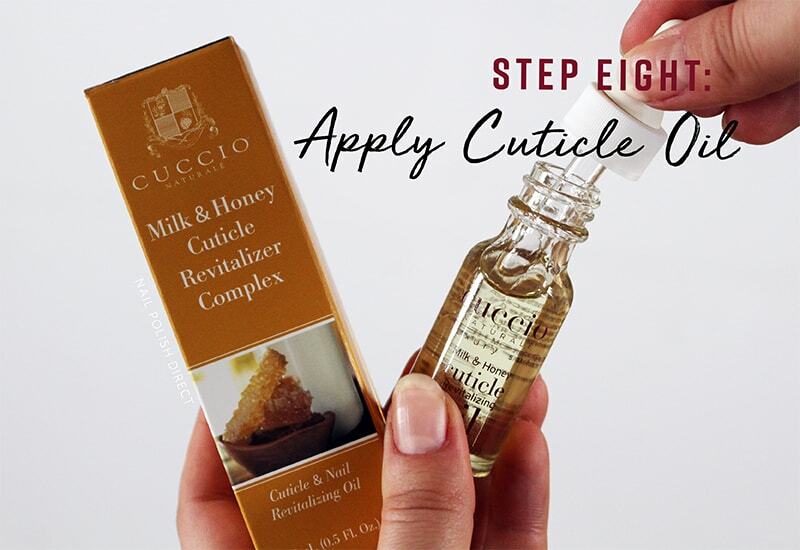 Finally nourish, moisturise and protect the cuticles using Cuccio Milk and Honey Revitalizer Complex. This fantastic treatment provides natural moisture and antioxidant properties to help refresh the skin. You should now be all finished and good to go, sporting a super refreshed and flawless manicure safe in the knowledge that you’ve taken next to no time out of your busy schedule to accomplish it! We’d love to know how you got on with your Cuccio Express Manicure so make sure you tag us on Instagram, Twitter or Facebook.